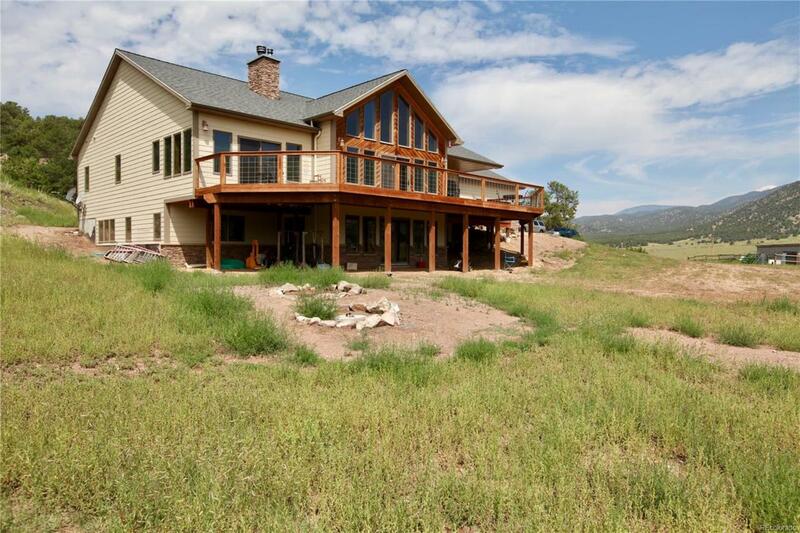 This is a custom ranch style home was recently fully finished. It offers a great, open floor plan. Beautiful vaulted ceilings with tongue and groove ceilings with the focal point being the beautiful stacked stone fireplace with custom cedar mantle.Large, very functional kitchen with center island, lots of storage, 4 burner gas stove, stainless steel appliances, including dishwasher! Custom tile on counter tops and back splash. Tile floors through to the dining room and laundry/mudroom to the garage door, makes for easy clean up!Huge master suite with 5 piece bath, offering double sink vanity with great storage, large walk in shower and jetted tub and walk in closet! Guest room with private bath on main floor. The walk out basement has 3 large bedrooms, family room with wood burning stove and a full bath!